- An accomplished AOR band formed in 1979. 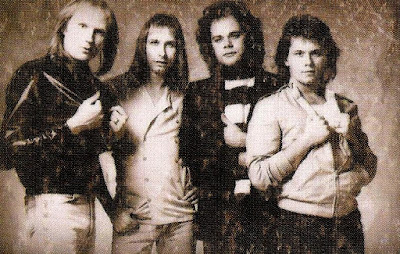 'Rendezvous', from the group's 1982 EMI debut, was later put to good use by the NWoBHM outfit TYGERS OF PAN TANG, who released the track as a single. Southern Rockers BLACKFOOT covered RPM's AOR radio hit 'A Legend Never Dies' on the 'Vertical Smiles' album. A second album was actually recorded in London for Warner Bros., 1984's 'Phonogenic', and found the group in an extremely experimental frame of mind. Since the group broke up Bob Johnson, using his full name of Robert White Johnson, has attempted to pursue a solo career and has an album in the can. He has contributed backing vocals to both of JAIME KYLE's albums. More significantly, on the songwriting front Johnson's compositions have been covered by LYNYRD SKYNYRD, CHEAP TRICK, 38 SPECIAL, Y&T and VAN ZANT. Jimmie Lee Sloas has since made a return as an accomplished Christian Rock artist involved in a number of band projects. By late 2003 he would make the surprising move into MEGADETH. 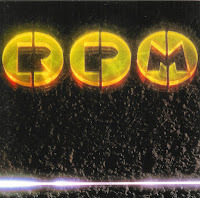 - For RPM it all started some 25 years ago when Robert White Johnson and Jimmy Lee Sloas bumped into each other and started writing and recording a string of songs. Around the same time Mark Grendel moved from Toronto to Nashville in search of joining a band and got involved, as well as session drummer Tommy Well. Within months, several majors such as Capitol, Chrysalis and Columbia took an interest in the band, but RPM decided to go with EMI. Although the band scored a hit with ?A Legend Never Dies? - taken from their eponymous debut album (1982) - the relationship with EMI quickly faded and they signed a new, multi-record deal with Warner Bros., which released the follow-up album ?Photogenic? in 1984. Although a lot of effort was put in the promotion of that album, it wasn?t meant to be for RPM, mainly due to the hard competition from label mates such as Elton John, Prince, Rod Stewart, Van Halen and ZZ Top. But RPM refused to die and re-entered the studio, where several ?bonus tracks? were recorded. Unfortunately nothing happened with them (at the time), and all efforts to keep the band alive were given up. Robert White Johnson kept on writing songs, while the others made a living playing on albums from a long series of acts. - Robert White Johnson talks about his RPM re-release due in November 22nd: Robert White Johnson: "First and foremost, a heartfelt thanks to all the fans who have helped 'keep the music alive' by supporting bands like RPM as well as countless others over the years. It's a pleasure to now be able to share our first record project on CD as well as six additional tracks that have never before been released in any form. The bonus tracks that have been included in this release lend a significant historical as well as musical perspective to RPM. "The songs,"ON AGAIN, OFF AGAIN" and "OH, OH PAMELA" were recorded soon after touring to support our debut album sometime in 1982. This was the first time that the band had produced itself in the studio. There had been some creative differences with our first producer Brent, and being the classy first rate guy he was, he let us do our own thing. An inevitable chain of events I suppose. Anyway these two songs were recorded at Creative Workshop Studios in Nashville where we also did our first record so the territory was quite familiar. However, there are glimpses into the future with these recordings as we experimented more with special effects on the backing vocals in addition to the guitar work. These two songs could also be described as a musical bridge of sorts to the future as I'll describe more later. The instrumentation for these two songs were the same as this, our first record with Mark Gendel on guitars, Jimmie Lee on bass, keys and backing vocals and Tommy wells on drums. Something else that's noteworthy regarding our first record project on EMI, "RPM," there were four songs from the project that were also covered by other major artists, an accomplishment that rarely happened back then in the rock world. "A LEGEND NEVER DIES" was recorded by the band BLACKFOOT featuring Ricky Medlock on Atco/Atlantic records. This was a fun but also a strange moment as I was asked to help sing and arrange the backing vocals for their version in Atlanta that was produced by legendary producer Eddie Offord. The track "2+2" was covered by legendary rock singer Johnny Van Zant of Lynyrd Skynyrd family & fame for his debut solo Geffen record release. This event actually led to an almost 20 year creative and personal friendship between Johnny and myself. It was a couple of years later that I went on to produce and CO-write the "Brickyard Road" single and CD for Johnny on Atlantic Records that spawned the # 1 rock hit for 3 weeks in a row in the US. "RENDEZVOUS", the third cover from our first album was also recorded by TYGERS OF PANG TANG. With regard to the other four bonus tracks, since I already described the first two; these were actually recorded in 1985 after our second project on Warner Brothers was released in 1984. These were also the last things we did creatively as a group before we disbanded. Our second record for Warner Bros. was recorded with Gary Langan (of YES/ART OF NOISE fame) engineering and CO-producing with the band, at Trevor Horn's studios SARM, in London. We had spent upwards of a year and a half on writing and recording the second project in the hope of getting it just right. Because of massive competition within the label (Warners) at the time with releases from VAN HALEN / "1984" , ZZ TOP/"ELIMINATOR"as well as "PURPLE RAIN" by Prince, it just wasn't meant to be, even though the band received high critical acclaim. The tracks "DEEPER THAN LOVE" / "HANDS" / "EVERY HEART YOU BREAK" & "HOW DO I GET YOU" were recorded at the famed studio 'The Castle' outside of Nashville. Having recorded with Trevor Horn's right hand/engineer, Gary Langan, we were bent on delving even further musically and sonically speaking. All tracks were produced by Mark, Jimmie and myself as our drummer Tommy had left at that point. It was a very tough time for drummers in general at that time because of all the drum machines and of Fairlight (our particular instrument of choice at that time). 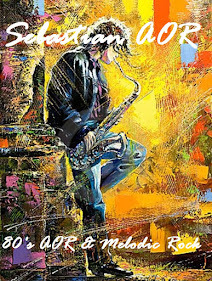 Because I was also an ex-drummer, I overdubbed live cymbals & percussion to make these particular tracks feel more live. - One of the all time classics in AOR history. Revered just by about every trustworthy AOR scribe over the last twenty years and one of the few releases to get a late CD format release. It was fortunate then I picked up one for $2.50 in a bargain bin just recently. How's that for luck? Some great songs on offer here, and no surprise then that some of their songs have been made famous by other bands, ie: 'Rendezvous' covered by Tygers Of Pan Tang, and '2+2' covered by Van Zant. For a Nashville band this is about as 'un-country' as you can get. The sound overall has everything in common with that other fantastic AOR album by the aforementioned Van Zant from 1985, as well as the best AOR bits from .38 Special. They have a particular strength evident in their songwriting which makes these songs so appealing. The Brent Maher production also gives the band some space to create their melodic mayhem.